Ace of Spades is a new Exotic primary hand cannon that was introduced with The Taken King – follow this Quest guide to get it. The bad: Recoil is high. Conclusion: Feels Exotic, but not better than Hawkmoon. Radar stays active while aiming down this weapon’s sights. Precision kills move one round from your ammo reserves into the magazine. With Tlaloc being boasted by Warlocks everywhere, it’s hard to imagine that the Hunter and Titan alternatives can even approach its power. Today, we’ll take a look at Ace of Spades and see if it just might be a diamond – er, spade – in the rough. Remember, Ace of Spades can only be equipped by a Hunter. Curious about how to get it? Check out our class Exotic guide! Its real appeal is the stark black and white paint job, accented by the eponymous playing card symbol. It also comes programmed with the nifty gunslingin’ spin animation that TLW first graced us with so many months ago. Of course, now even the dumb First Curse has that, so maybe Bungie should hold off on spreading that one around too generously, huh? 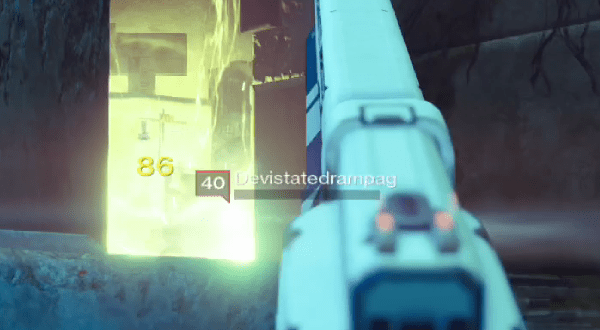 Ever taken a look at the Imago Loop? Ace of Spades happens to have identical base stats in every regard. It fits the mid/mid RoF/Impact profile, sharing this with Fatebringer and many classic favorites like The Devil You Know, TFWPKY 1969, Red Hand IX, and more. Its notable base Range of 40 immediately catches the eye, being one of the most pivotal stats since TTK’s 2.0 patch. The Stability of 32, while seemingly poor, is really more of a non-issue than one would think; the re-tooled 2.0 zoom factor and mid RoF means paced shots will still leave plenty of time for reticle reset – though a little extra Stability never hurts. With 10 rounds in the magazine and a base 32 Reload Speed, we peg Ace of Spades ammunition efficiency at around average. Unfortunately, with the 2.0 nerf to HC reserve ammo, you’ll be strapped for rounds more often than you think. Finally, the base Aim Assist of 61 is just enough to score some headshots that might have been misses on a lesser model. All in all, the Ace of Spades has the right stats for any mode. Range is incredibly important. We wouldn’t mind a little extra Reload Speed, but this is manageable with accuracy, as we’ll see shortly. Intrinsically, the Ace of Spades is sporting an all-around quality utility perk: Third Eye. This grants you radar permanently when your Primary Weapon is out, whether you’re aiming down sights or sprinting. While permanent radar is not nearly as essential in PvE (you probably didn’t even notice Chaff on the Nightfall the other week), PvP has long been an arena in which you’ll notice a significant benefit with Third Eye. It’s usually more noticeable on weapons with slow ADS times and handling (i.e. not Hand Cannons), but every millisecond you save not having to ADS out of radar is a millisecond you have to get a jump on your prey. As far as sights are concerned, we recommend you choose either Sureshot IS or Steadyhand IS. The former is preferred for a little extra Target Acquisition (see: Aim Assist), but the latter is a fine selection for its little nudge to Stability. Quickdraw IS isn’t terrible, but it only marginally improves a stat that is already too mediocre to be worth min/maxing. Its first distinct perk, Firefly, is an absolute godsend. 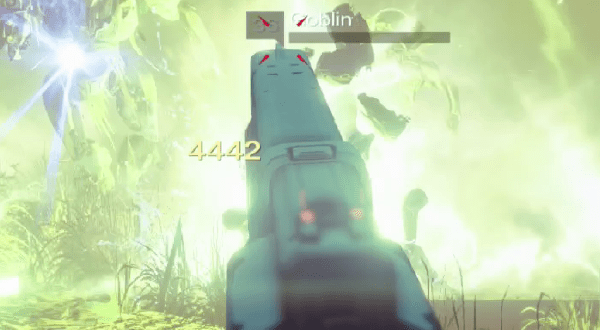 Anyone who’s played Destiny in Year 1 understands the dominance of Fatebringer, and Firefly was a big reason for it. The PvE-favorite perk creates an instant, moderately sized solar explosion upon a precision kill, which will distribute damage evenly among nearby foes. It is, hands down, one of the top perks Destiny has ever seen, and Ace of Spades getting a taste instantly catapults in to top tier status. While it’s not nearly as strong in PvP, you can often catch an unlucky Guardian in the blast radius in more congested gametypes; so it’s no loss. The middle column presents some interesting option and trade-offs. High Caliber Rounds gives the Ace of Spades a little extra punch, leveraging its natural impact to stagger foes in PvE and shake them up in PvP more reliably. Of course, we encourage you to consider Perfect Balance if Stability is high on your priority list, as you’ll feel a bit more comfortable unloading the weapon at its maximum RoF. Still, Reinforced Barrel is the standout choice here. It sacrifices Stability in order to provide the biggest boost to Range possible for a Hand Cannon. This increase pushes Ace of Spades back near Y1 HC levels in terms of raw performance, and it is essential for working those constricted hitboxes in PvE and PvP. If you want to seize a niche and hold it, Reinforced Barrel is the way to go. As if Firefly wasn’t enough, the Ace of Spades gets an Exotic perk that cements its position as a PvE standout: Maverick. This perk feeds a round directly to the magazine from reserves whenever a precision kill is recorded. This makes Ace of Spades a monster of weapon for chewing through Tier 1 red bar enemies, effectively extending its magazine to zany levels for the accurate Hunter. Even tougher foes are fair game, bumping effective magazine size to Hawkmoon’s 13 for 3 precision kills per 10 shots. Again, it’s mostly a PvE perk, but doesn’t hurt your PvP game in the slightest. In case the trend wasn’t clear, we love this gun for PvE. Hand Cannons as a class are not in a terrific place right now, but the Ace of Spades is doing its best to carry the torch in their stead. 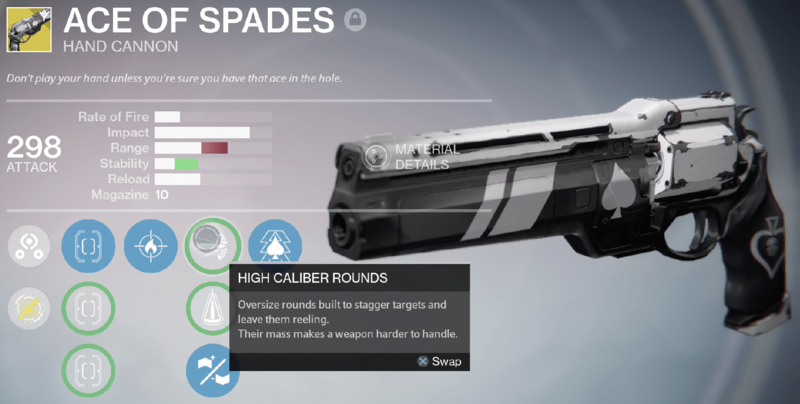 PvE is all about flexible engagements, and the Ace of Spades has this quality in, well, spades. With the Hand Cannon’s naturally low zoom factor, it’s a prime candidate for handling the borderline zerg rush of taken psions and thrall of all shapes and sizes. Anyone with a big head should beware having it popped cleanly off, rewarding the precise Hunter with another round to keep them in the fray. When enemies begin to stretch into the distance, the Ace of Spades can keep up for the most part. It surpasses the dismal damage drop off range of most Auto Rifles, which keeps it in contention for an active weapon that encourages aggressive flanking and constant repositioning, while still having enough base Range to dispatch adds cleanly at a reasonable distance. With 2.0’s heavy nerfs, you’re not going to be sniping vandals from clean across the map, but you won’t need to be in Shadow Touched range just to take out a blight and its spawn. Firefly and Maverick are a delicious one-two punch, too. Score a precision kill, and immediately be rewarded with an extra round from your reserves, and a big ol’ fireworks display, distributing moderate damage to adjoining enemies, and softening them up for your next killshot. They work in tandem to make quick work of the numerous amounts of grouped enemies in The Taken King, and it’s hard to think of a better perk combination for a Primary Hand Cannon. Of course, it has its downsides too. While it may be king for add disposal, higher level content demands a different kind of weapon. The Ace of Spades is no longer able to score a kill in one, two, or even three headshots – instead requiring half a magazine or more to kill Level 41+ Cabal, and often close to a full magazine to down anything with a shield. When you factor in its abysmal reserve ammunition (again, a weakness of the class and not the Ace of Spades), it’s just not the right gun for the job in Epic or Heroic Strikes. In fact, it probably performs better in the Raid, where scaling is tough, but there are still plenty of red bar trash mobs to fall victim to your bullets. The last thing you want to do is lock yourself into an Exotic Primary Weapon and run out of ammunition, so be sensible about the content in which you bring the Ace of Spades, and it’ll serve you better than just about any Primary out there. Just be sure to infuse it generously; 280 just won’t cut it. While Firefly and Maverick are no longer the powerhouses they are in PvE, the Ace of Spades is surprisingly deadly in spite of this. Most of this can be attributed to its stellar base Range, which we again recommend supplementing with Reinforced Barrel to push it to its outer limits. If you do this, you’ll be able to duel even Pulse Rifle users in close-to-medium range encounters, and flat out outplay Auto Rifle users by baiting them into firing out of their comfort zone. With its low zoom factor, you’ll have plenty of visibility and awareness when Shotgunners try to close the distance, and 3 headshots (or 2 headshots and 1 bodyshot/4 bodyshots) will handle every unbuffed Guadian out there. Toss in intrinsic Third Eye, and you’ve got a fundamentally strong Hand Cannon that represents everything the class ought to be in PvP. So what’s the downside? 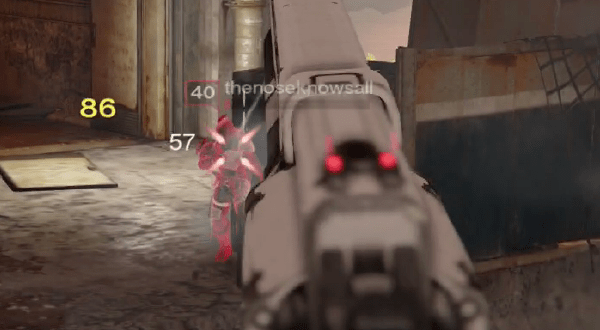 Well, there’s not much Ace of Spades can do that Hawkmoon can’t do just a bit better. Hawkmoon shares its maxed Range with the appropriate perks, and can two-shot many Guardians by taking advantage of the Holding Aces/Luck in the Chamber procs. Even without these, it sports an additional 3 rounds in the magazine, and a higher base Impact, making for easier teamshot kills. Still, Ace of Spades sports 20% more Aim Assistance – though in practicality this it’s difficult to notice – and Third Eye gives it some utility that Hawkmoon can’t enjoy without the Knucklehead Radar. When all is said and done, Ace of Spades is well above average in PvP as well. Its TTK might fall short of “Procmoon”, but it has more of a home today than it would have in the Thorn/TLW era. While Pulse Rifles are still the meta kings, Ace of Spades in the hands of an adept Hunter will make short work of those Guardians who expect to just roll over you and your Hand Cannon with their untrained aim and Nirwen’s Mercy. Less is more with the Ace of Spades. It features a standard Hand Cannon firing noise, and a classic design that’s been used by other weapons before it. It is unique, powerful, and fun. Bungie did a good job creating a PvE weapon that can still hold its own in the PvP arena, and it’s safe to say Hunters can be proud to have this gun all to themselves. In PvE, the combination of Firefly and Maverick make it a terror in appropriate content, and its base Range ensures you’ll never be hamstrung into putting yourself into danger just to land hits. In PvP, said Range makes it as viable a Hand Cannon as there can currently be, and almost on equal footing with the top-tier Hawkmoon. Third Eye guarantees you’ll never be caught off-guard, and the unpredictability of Hand Cannons in the current meta might give you an edge over players expecting the usual suite of weapons in your arsenal. If Hand Cannons as a class were just a little bit stronger, the Ace of Spades might be one of the best Exotics in the game. As it stands, it’s just a really solid gun. For PvP this weapon earns a 8.2/10 and for PvE a 9/10.